Interesting news for the ‘woke’ creative digital marketing agency. Mobile-first indexing is actively being looked into. This comes from the blog over at google. In it, Google outlined how they have quietly started experiments to test such a move. Any good creative digital marketing agency knows that mobile is first and foremost where its at. Now, Google have basically positioned themselves ands their index to be in line with this rapid growth in mobile usage. It absolutely confirms that all websites need to be mobile-optimised. This time of year is imperative for service providers to make themselves heard and seen. The best way to do that? To have a site that displays well and is easily used across multiple platforms. As we’ve seen before, the typical Christmas shopper makes most of their shopping decisions only after carrying out research through digital. So for Google to do this, is further confirmation of the shift in consumer behaviour. The line is somewhat tempered however, as they aren’t preaching an all-out blitz upon sites that are firstly desktop orientated. Not yet, anyways. They are merely testing the orientation of the index being primarily drawn up in favour of mobile-optimised websites. So, a well designed site that can display and read well across multiple platforms need not worry about how this will effect their ranking on the index. As long as it is responsive and usable on both mobile and desktop, a site should be acceptable. Any clients of a good creative digital marketing agency, should make use of them to advise how best to traverse the impending shift towards mobile-first. If you’re site is in good nick and can translate across, then it won’t be an issue. 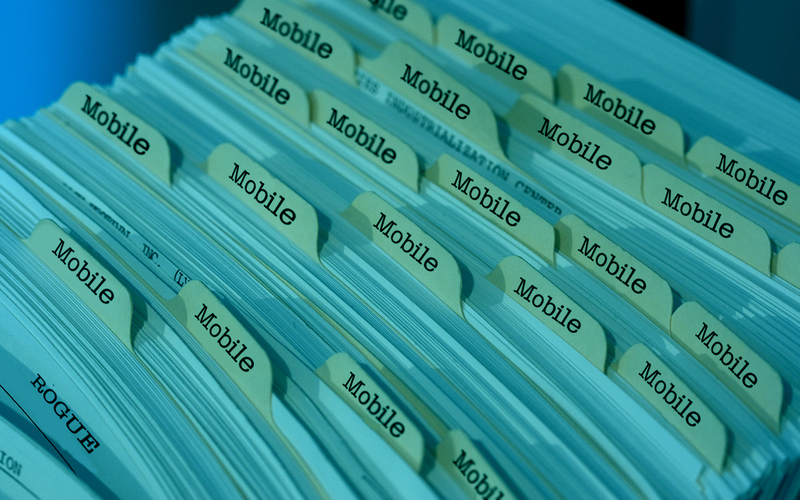 Your online presence needs to be mobile-first. And your agency should know this. In the blog post, product manager Doantam Phan, said: “If you have a responsive site or a dynamic serving site where the primary content and markup is equivalent across mobile and desktop, you shouldn’t have to change anything […] If you have a site configuration where the primary content and markup is different across mobile and desktop, you should consider making some changes to your site.” He advised anyone who is unsure their site is not consistent across both mobile and desktop, to: “Make sure to serve structured markup for both the desktop and mobile version […] Use the robots.txt testing tool to verify that your mobile version is accessible to Googlebot […] Sites do not have to make changes to their canonical links; we’ll continue to use these links as guides to serve the appropriate results to a user searching on desktop or mobile.” So its an interesting development, yet one that is in it’s infancy. The truly tuned-in creative digital marketing agency will be quietly observing how it all pans out with these experiments. All in all, its another inevitable step towards a mobile-only centric marketplace. Its been heading this way for a long time, and now Google have merely confirmed it for us.